An average new allergy clinic appointment lasts for 45 minutes. During your consultation a detailed clinical history will be taken which allows us to decide on the most appropriate type(s) of test that you require before reaching an individualised investigation, treatment and management plan. Immediate types of allergic responses are usually investigated with skin prick tests, or blood tests looking for antibodies (defence proteins) directed against specific allergens travelling in the bloodstream. However, if the test results are discordant with the clinical history it is sometimes necessary to perform direct challenges. Skin prick tests and blood tests can be performed during the consultation. If you are expecting to have prick testing done please ensure that you follow the advice on the skin prick testing page about discontinuing antihistamine medication or bringing up certain foods for testing. Patients presenting with new-onset eczema, long standing eczema failing to respond to treatment, or eczema involving certain regions of the body, are often referred or recommended to have patch tests performed. These can help to determine whether allergy is contributing to their eczema or not. These are some of the tests which are used to investigate the delayed arm of the immune system and patch testing occurs over 3 separate visits in the course of a week each lasting approximately 20 minutes. Some patients who have already been reviewed by a Consultant Dermatologist and where patch tests have been recommended can be booked directly in for the investigation. However, Dr Orton prefers to see and assess patients before proceeding with the investigation to ensure that the procedure is fully understood and that all appropriate test allergens are obtained in advance. This might include materials met through work and where “Material Safety Data Sheets” are required in advance of your attendance. Please note that some patients might require more than one type of testing. Also, some patients perceive that they may have “allergy” to something which is not amenable to such testing since the mechanism of adverse response to this stimulus is not well characterised. Examples of this are often labelled “intolerances” and might require interventions such as dietary modification. 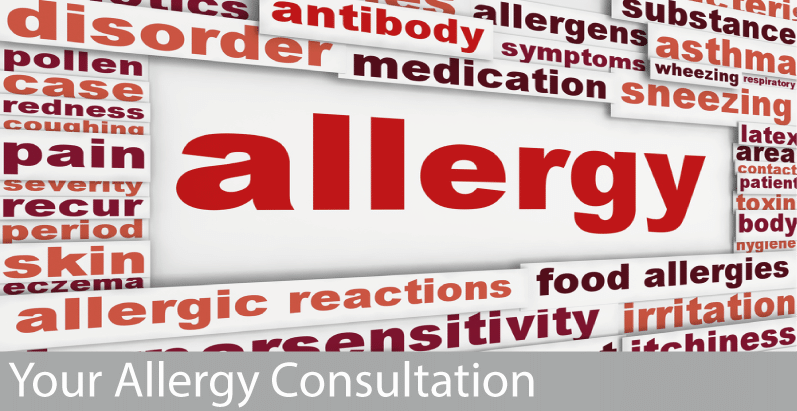 I work closely with an experienced allergy dietitian – Mrs Tanya Wright.